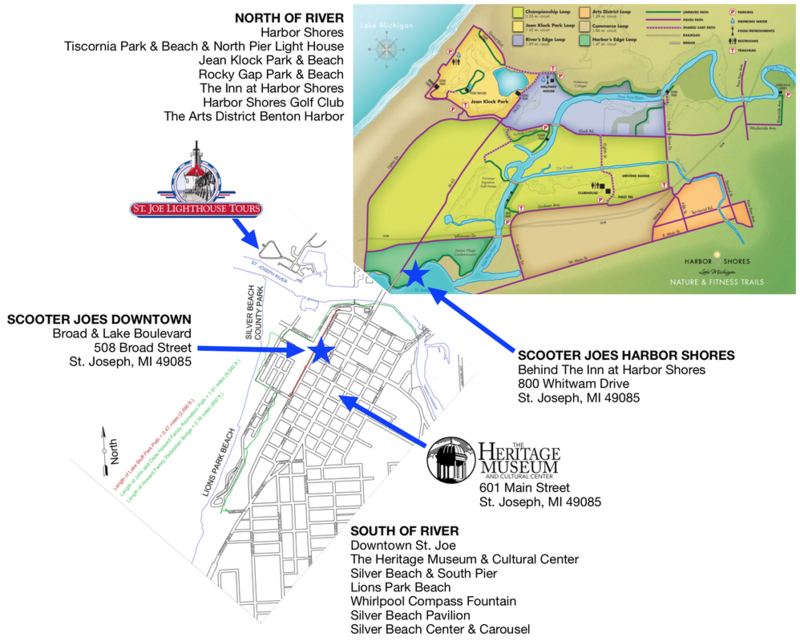 After renting your Beach Cruiser, Fat Tire or Electric Bike from Scooter Joe's, use the maps below for recommended bike routes and activities accessible south and north of the river. 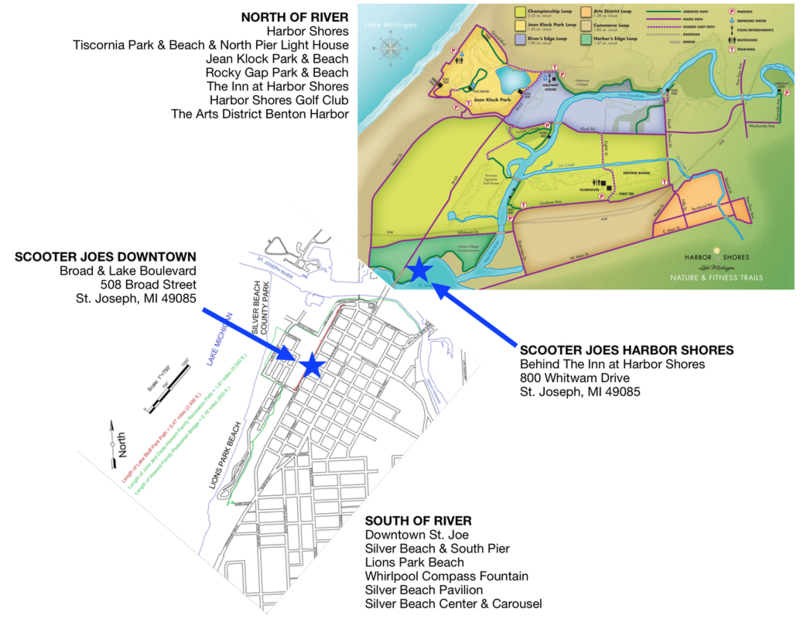 ​Use the Blossomland Bridge (Main Street/M63 North) to cross the St. Joe River to the north. Please WALK your bike across the bridge to safely join a paved bike & walking trail around the Harbor Shores development with access beautiful Jean Klock Park, Tiscornia Beach Park and the North Pier Lighthouse (​info on lighthouse tours here​), the Arts District in downtown Benton Harbor and more. Did you know The Heritage Museum offers Lighthouse Tours during the summer? ​Visit the museums St. Joe Lighthouse Tours website for more information & purchasing tickets.. If you would like to bike to the lighthouse, contact us for more information.